Pulitzer Prize winner Sheri Fink’s landmark investigation of patient deaths at a New Orleans hospital ravaged by Hurricane Katrina – and her suspenseful portrayal of the quest for truth and justice. In the tradition of the best investigative journalism, physician and reporter Sheri Fink reconstructs 5 days at Memorial Medical Center and draws the reader into the lives of those who struggled mightily to survive and maintain life amid chaos. After Katrina struck and the floodwaters rose, the power failed, and the heat climbed, exhausted caregivers chose to designate certain patients last for rescue. Months later, several of those caregivers faced criminal allegations that they deliberately injected numerous patients with drugs to hasten their deaths. 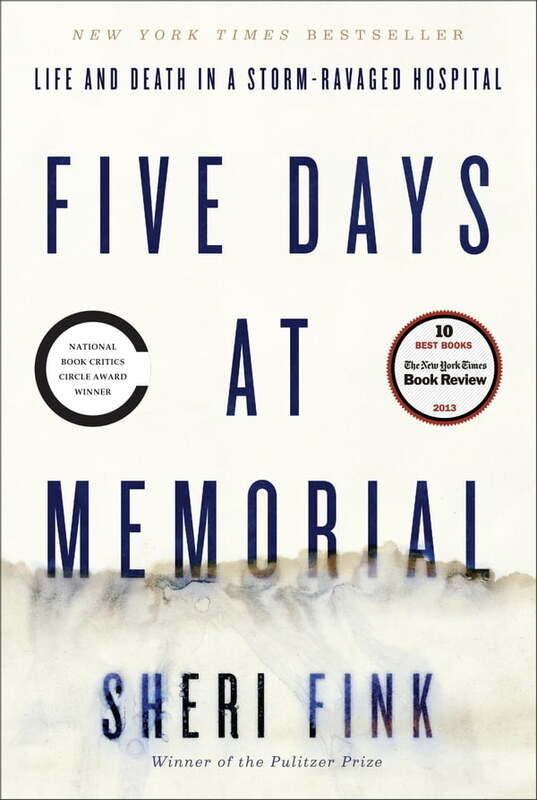 Five Days at Memorial, the culmination of six years of reporting, unspools the mystery of what happened in those days, bringing the reader into a hospital fighting for its life and into a conversation about the most terrifying form of health care rationing. In a voice at once involving and fair, masterful and intimate, Fink exposes the hidden dilemmas of end-of-life care and reveals just how ill-prepared we are for the impact of large-scale disasters—and how we can do better. A remarkable book, engrossing from start to finish, Five Days at Memorial radically transforms your understanding of human nature in crisis.